As officials warned that the odds of the UK leaving the EU without a deal are rising by the day the Pound Sterling to Euro (GBP/EUR) exchange rate came under renewed pressure. With MPs failing to find any agreement on the proposed alternatives to Theresa May’s already rejected Brexit deal investors struggled to see any positive way forward. This left Pound Sterling (GBP) to trend lower across the board, weighed down by resurgent fears over the prospect of a no-deal Brexit. March’s UK construction PMI also gave investors cause for caution, remaining in a state of contraction and limiting confidence in the underlying health of the UK economy. Although February’s Eurozone producer price index saw an improvement on the month the data still fell short of forecast, limiting any Euro (EUR) boost. This uptick was not enough to convince investors that inflationary pressure within the Eurozone is mounting, raising the odds of the European Central Bank (ECB) leaving interest rates at their current low for longer. EUR exchange rates look set to come under further pressure on Wednesday with the release of the finalised raft of Eurozone services PMIs. 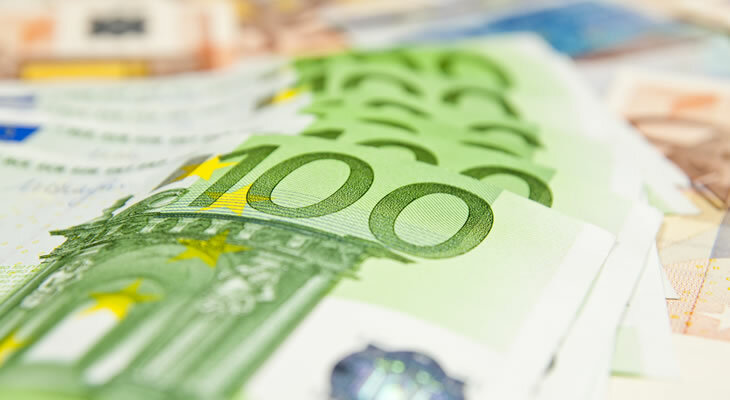 As markets anticipate confirmation that the service sector remained in a muted state of growth in March the Euro looks vulnerable to additional losses. Any signs of a slowdown in February’s Eurozone retail sales data may also encourage investors to sell out of the single currency this week. The GBP/EUR exchange rate could struggle to capitalise on any underwhelming Eurozone data, however, as long as Brexit-based anxiety persists. Until markets see signs of progress towards a positive resolution of the current political uncertainty the appeal of the Pound is likely to remain limited. GBP exchange rates could also come under pressure as a result of March’s UK services PMI, with forecasts pointing towards a dip on the month. If the service sector loses momentum this increases the likelihood of a weaker first quarter gross domestic product reading, given that the sector accounts for more than three quarters of UK growth. However, signs of strength within the service sector may offer the GBP/EUR exchange rate a temporary rallying point on Wednesday. As long as the UK economy demonstrates signs of resilience this should help to limit the downside bias of Pound Sterling.